Melodic Celtic accordion, alongside raw and rhythmic guitar and banjo, complimented with heart felt sound of the traditional tin whistle, the tunes are Munster born & Dublin raised. 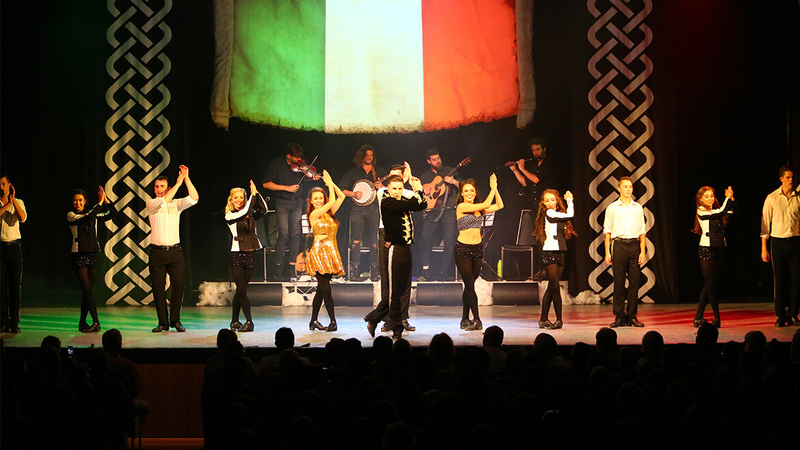 Impressive dancing rarely seen outside of the World Championship stage, “A Taste of Ireland” was composed and choreographed in Dublin and is quickly on its way to becoming the new frontier in Irish entertainment. CEILI MOORE performed the lead role opposite Michael Flatley in “Lord Of The Dance” on tour throughout Australia, New Zealand, Asia, Europe, South Africa and London’s West End Palladium Theatre. Her other dancing highlights include the Graham Norton Show, BBC Proms In The Park, Dancing Down Under and The Wiggles videos. Ceili has returned to Australia and teamed up with her partner, Choreographer and Producer BRENT PACE to perform in A Taste of Ireland. Brent was the Lead Principal in “Gaelforce Dance” and “Rhythms of Ireland”. is a World Medallist and six Time National Champion.